When you have a PDF document that you need to edit, email, or open, some of Adobe’s products usually come to mind. Unfortunately, most of Adobes software is expensive, bloated, insecure, etc. As a groovy alternative, I’ve found a groovy little program called Nitro PDF reader. Unlike most “readers” however, Nitro PDF Reader is PACKED full of features, and it’s FREE! Nitro PDF is clean, simple, and minimalistic and looks a lot like it belongs in the Office 2010 suite. The screenshot at the top of this article shows nearly all of the programs capabilities. While it isn’t anything too fancy, it’s all most people need, and the ribbon interface is perfect for people using to Microsoft Office 2007 or 2010. Are you sold? Here are a few more details on getting it on your box and playing with it a bit. If you’re not one who likes setting up programs on your computer, don’t worry. 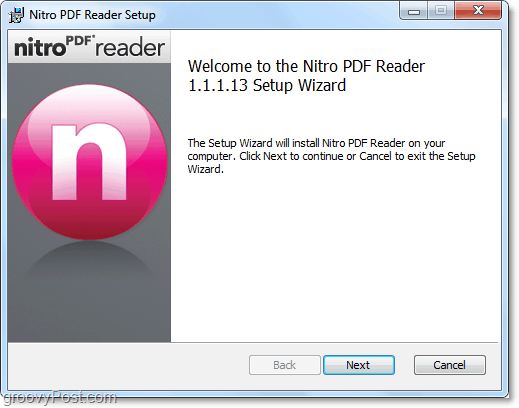 Installation of Nitro PDF Reader is extremely simple; just click next a few times. Once you have it installed, you can get to work right away. 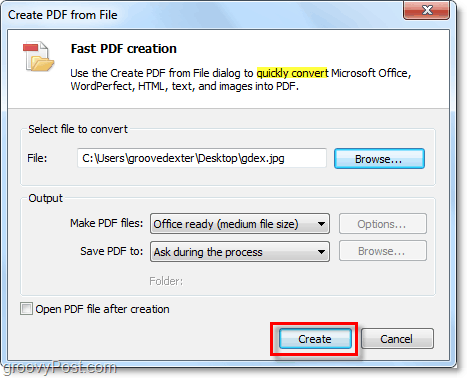 Just open up PDF documents and start modifying them, or you can even create new PDF’s from scratch. The Type Text tool allows you to put text anywhere you want in the PDF, assuming, of course, it isn’t a security protected PDF. Among other useful tools are Notes used for collaboration activities. Just like in Office 2010, Nitro PDF Reader has a File menu. 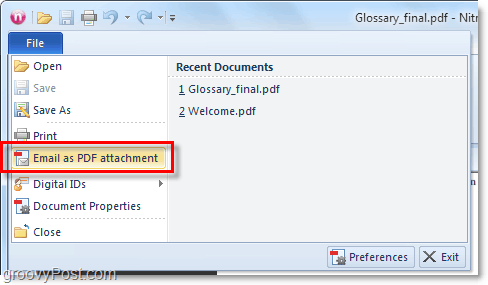 From the File menu, you can do a few things, but the most exciting is the Email as PDF attachment button. 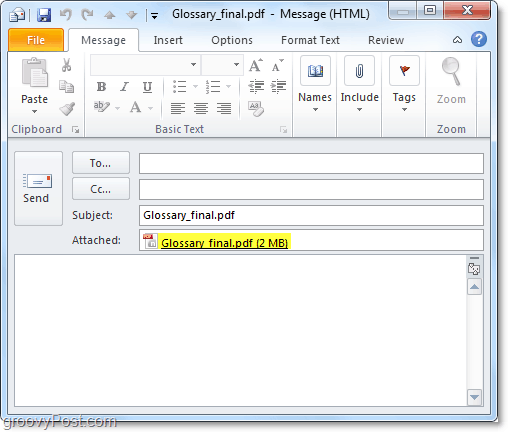 When you choose to email as a PDF attachment, Nitro PDF will automatically open up Outlook (if you have it installed) and compose a new email with the PDF you were working on attached to it. Another feature packed in is the ability to convert other files to PDF format. You can convert images, text, Word, and Office 2010 files to PDF with just a few clicks. 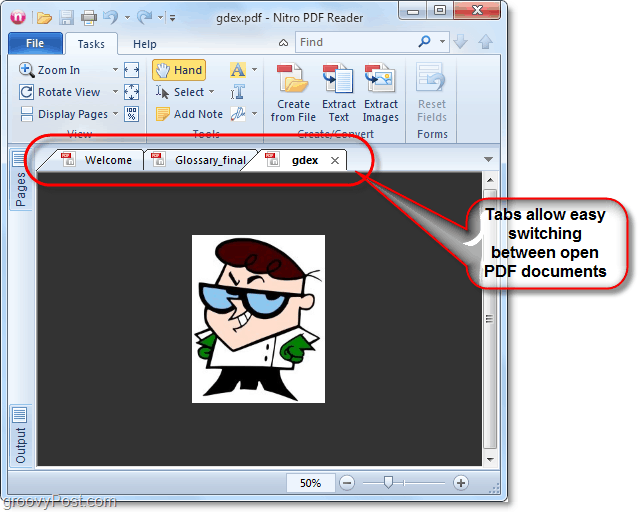 If you need to work on multiple PDF files, the tab feature in Nitro PDF Reader makes it incredibly easy to see all of the PDF files you have open and switch between them. 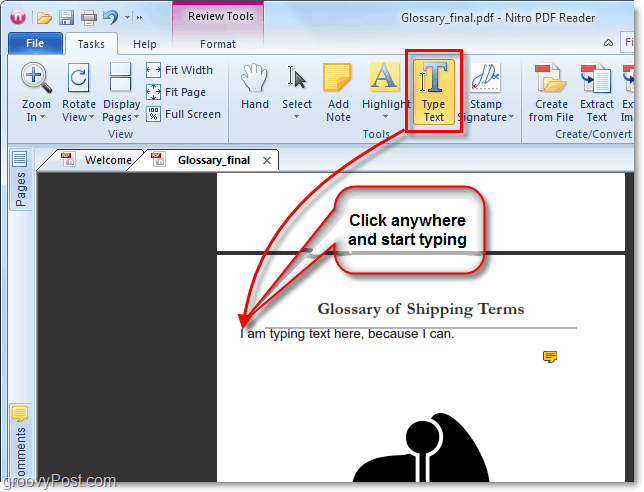 Overall Nitro PDF Reader is efficient, lightweight, and effective. Honestly, it makes me think that Notepad++, Office 2010, and Adobe Reader got thrown into a blender and this groovy little app came out. But the fact that it’s free just makes it a must-have Adobe alternative. I use this for the PDF printer. When you install the reader it also installed a virtual printer and you can turn just about anything into a PDF that will save – then load into Nitro reader. It freaking rocks. Works better than CutePDF too.